"Do you think five years are enough? No, no, five years are not enough. We are seeking another mandate, to sustain that commitment(of doubling the income of farmers)," Dharmendra Pradhan told NDTV. Dharmendra Pradhan said the proof of job creation lies in the big spurt in government schemes. 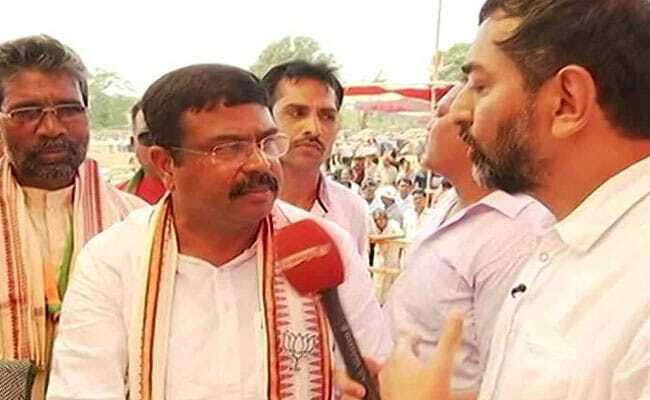 The Narendra Modi government has created "more than 10 crore jobs" in the past five years, Union Energy Minister Dharmendra Pradhan told NDTV. The startling claim was in response to a question over criticism of the government's track record on job creation, a central issue in the ongoing election campaign. Mr Pradhan claimed that PM Modi "has given all these facts in the floor of Parliament". Mr Pradhan, who comes from Odisha, said the proof of job creation lies in the big spurt in government schemes. "From 2009 to 2014 (under the UPA government) Odisha got 4.9 lakh homes under the centre's Indira Awas Yojana housing scheme. In (Narendra) Modi's five years, the number is 10 lakhs. Don't you think more number of house units, more investment on house has not created new jobs?" he said. But Mr Pradhan said "there is no such report. I am quoting what honorable PM has said in the floor of the parliament". In a speech in parliament in February this year, the Prime Minister did not cite a specific jobs figure, but gave several examples of potential sources of job creation, including provident fund deductions, the growth in tourism, jump in vehicle sales and lending under the government's MUDRA small loans scheme. "Do you think five years are enough? No, no, five years are not enough. We are seeking another mandate, to sustain that commitment," he said.